← Why did I open a bakery? 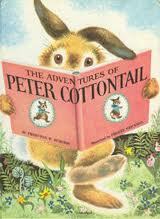 Peter Cotton-Tail will be making his rounds before you know it so we will be posting our Easter Menu soon. I can tell you that it will include Hot Cross Buns, Lemon Tarts, Portuguese Sweet Bread, Fruit tarts, tulip sugar cookies, and more….